Girl Scouts of the Sierra Nevada will be selling cookies from local grocery stores starting February 23. To get your hands on some healthier Girl Scout Cookies this season, find a Girl Scout at your local grocery stores starting February 23. If you know or come across a Girl Scout in the meantime you can ask her for a link to purchase cookies online. Visit www.gssn.org for more information. The local Girl Scouts Sierra Nevada chapter has kicked off the 2018 cookie selling season with an announcement that their cookies are healthier than ever before. 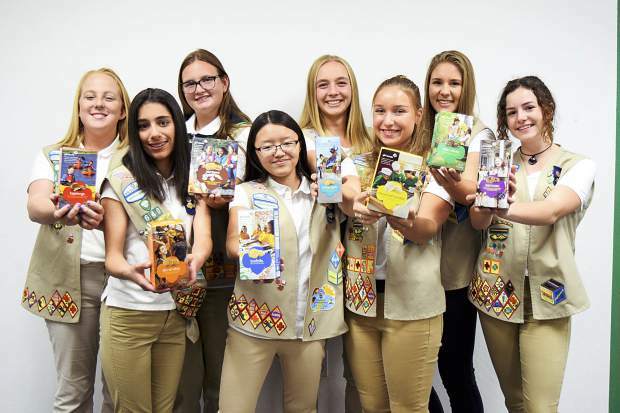 “Girl Scout season is the best time of the year, as we all know,” said Alana Ridge, development and communications specialist for Girl Scouts of the Sierra Nevada. This year, the scouts have gone with a new cookie baker, Little Brownie Bakers, who will be whipping up favorites not previously available in this region including Samoas, Thin Mints, Tagalongs, Do-si-dos, Trefoils, Savannah Smiles, Toffee-tastic, and Girl Scout S’mores. The previous baker created cookies that had similar flavors, but are known by different names, like Caramel Delites, Peanut Butter Patties, Shortbreads, and Lemonades. “While the cookie flavors are remaining relatively the same with a few exceptions, the recipes for the cookies are a little different. For example, the Samoas (formerly Caramel Delites) are made with dark chocolate now instead of milk chocolate. All of the cookies that have chocolate are made with 100 percent real cocoa,” Ridge said. In addition to committing to real cocoa, all of the cookies are now made with Roundtable on Sustainable Palm Oil (RSPO). There is no high fructose corn syrup, no partially hydrogenated oils and zero grams of trans fat per serving. As for one of the biggest initial questions: What is happening to the Thin Mints? Ridge says a blind taste test was held to compare this year’s and last year’s Thin Mint cookie. “We noticed that this year’s cookie is more mint-focused than last year; more of a mint taste with a chocolate after taste, but you can still taste both flavors. Also, they’re a bit thinner Thin Mints, they aren’t as thick as last year,” she explained. Presales have begun for this year’s Girl Scout Cookie season and next on the agenda is booth sales; beginning Feb. 23 the scouts will be posted in front of grocery stores selling boxes of your favorite treats. “As of right now you can buy cookies online, which is really cool. If you see a Girl Scout or know of a Girl Scout you could ask her how you can buy cookies and she will give you a link,” Ridge explained. When the girls give out their link, they are able to track the number of cookies sold and apply that to their overall cookie sales; which the girls take seriously. 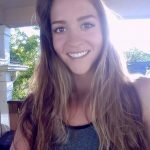 Last year, Girl Scout Laney Fix was the top seller in her council, stretching almost 100,000 square miles. At just 12 years old, Laney sold 3,406 boxes and says her main strategy was networking. “My main strategy for selling so many cookies was to wear my uniform everywhere and ask everyone I met to buy cookies. My mom set up an email address to take orders and we delivered all over the place,” she said. Laney will be participating in Girl Scout Cookie sales again this year and says she will also continue her volunteerism efforts like her last project; purchasing and installing cabinets and countertops in the Nevada Humane Society’s Reno foster corner. In honor of selling the most cookies in her council, Laney won a whale-watching trip in San Francisco. Laney, her mother, troop co-leader and another friend went with her to spend a couple days in the Bay Area in celebration. Laney says she hopes to make waves in the cookie sales world again this year, and that her favorite part of being a Girl Scout is going to camp and going on field trips. Her mother, Lesa Fix, says she loves having her daughter in Girl Scouts. “I am fortunate enough to be her troop leader. I have 16 girls, from second grade to eighth grade. The best part of that age range is that the younger girls get role models and the older ones get to mentor the younger ones. I absolutely love Girl Scouts. I think it is one of the most important things a parent can do for their daughter,” she said. One of the things she says Girl Scouts has taught her daughter is how to be a leader and an all around good person. “One of the most rewarding things for me is when I get to supervise at a cookie booth. At the beginning, younger girls will be so shy and nervous. But as cookie season goes on, there is no mistaking the gain in courage and confidence in each girl. And, that is the best part of selling cookies,” she said. As a parent, Fix says any young girl can benefit from being part of the national organization. “I recommend Girl Scouts to all girls. Get them started early in kindergarten. Also, girls can join at any age, it is never too late,” she said.